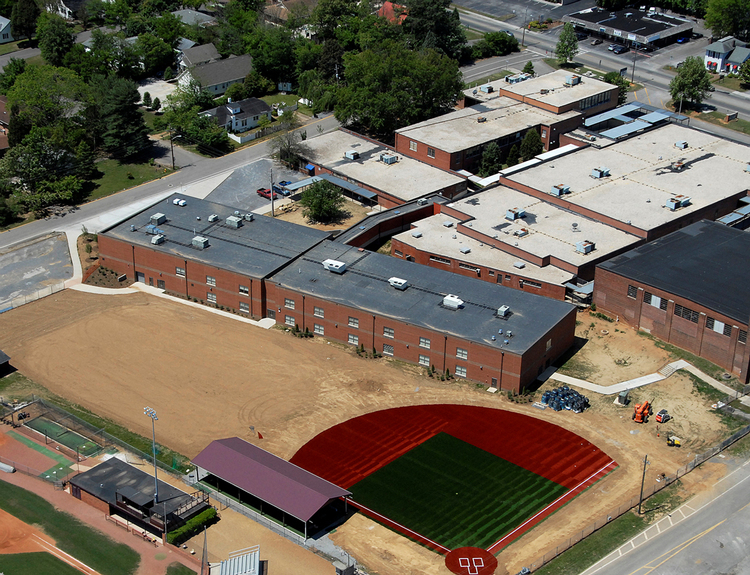 The Ocoee Middle School project consisted of a nearly 55,000 square foot addition to the existing campus. This facility is an all concrete and masonry structure with a metal roof system. It added 26 classrooms and a modern science lab for the Bradley County School System. It boasts a new cafeteria and kitchen that will seat over 400 students to allow the school to serve their 2,100 plus students in three lunch periods.